An icy tundra, stretching out into infinity. 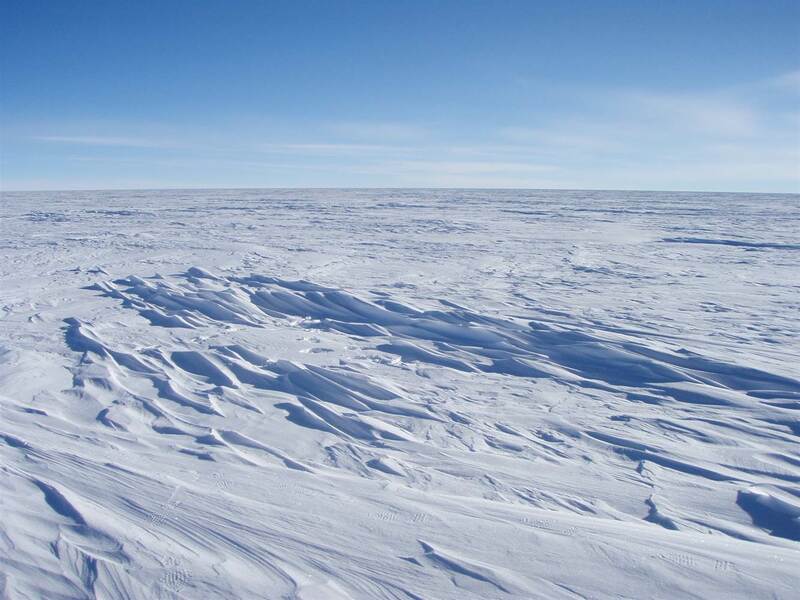 A scene of endless white, where sky and land meet and the horizon is scarcely visible. A cold, frozen wasteland, empty of life. It is a place so far from humanity, unseen and untouched by mankind. A place where life struggles to exist, plunged so far below any temperature where it could survive. Frozen not just in substance, but also in time. Eternally the same, no progress, no growth, no forward motion. The only movement is the icy wind, whipping through the air, and causing the snow to swirl up into the sky. Creating huge drifts, mountains and embankments and valleys, all carved from the powder and packed together in gigantic sculptures. A whole landscape, all decked out in pure, clean, white. That wind is the only reminder that this is reality, not a photograph or painting of the scene. The only indication that nature exists here. And yet at the same time, that wind is what causes any other form of nature to freeze and die. Taking the already frigid land, and chilling it all the way to its bones. As cold as death. Inspired by The Daily Post's prompt, 'Frigid'. Like this? Check out my 'White | Colour' post.